Today, one of the biggest obstacles for eCommerce retailers to overcome is cart abandonment. It has become so common that in some industries it has reached a whopping 80%. Imagine getting an online shopper all the way to your store to add products to their cart and then not complete the purchase. Troublesome to even think about it after you’ve made so many efforts in marketing your store, right? While there is no way to understand why online shoppers make the effort of looking for products that they’re eventually going to leave, there sure are ways to stop them from leaving – or at least, try to. The smartest approach is to look at rescuing abandoned carts in two phases – first when the shopper is still on your website and second when the shopper has exited from your website. Most eCommerce retail sites follow simple rules such as keeping the cart visible at all times. Of course, being reminded of how many items you have added to the cart, would make you want to go back and check before leaving the site, but there are many other things that you can do to reduce walkaways. 70% of your shoppers are looking for better deals, discounts, and cashback offers on the products they like. To be able to find them, they have various browser extensions and web apps installed. But these tools do more than just giving them access to discounts on other websites. They inject malware into your site on the consumer browser, leading to distractions such as price comparison bars, promotional popups, competitor ads, adult content and video ads showing up one after the other. All of them, ruining the shopper’s on-site experience and luring them away from the one thing he was there for – making a purchase. So the very first thing you need to do is remove these distractions. With Shield, you can detect all consumer browser malware and disable such intrusions in real-time. A clean site lets your shoppers focus on one and only one thing – purchasing the product they like. If you want to be able to reach out to shoppers who visited your website later, you need their contact details. 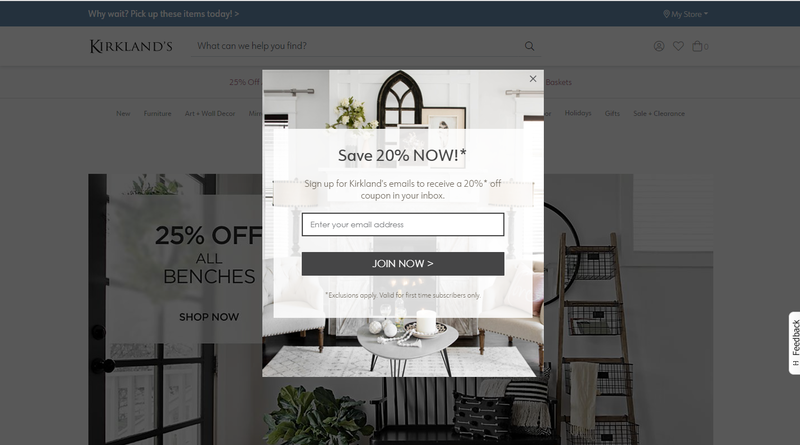 Using time triggered or exit-intent popups, you can re-engage your first-time visitors and nudge them to opt-in to your email list by offering a one-time discount. But remember you need to personalize your popup strategy too. 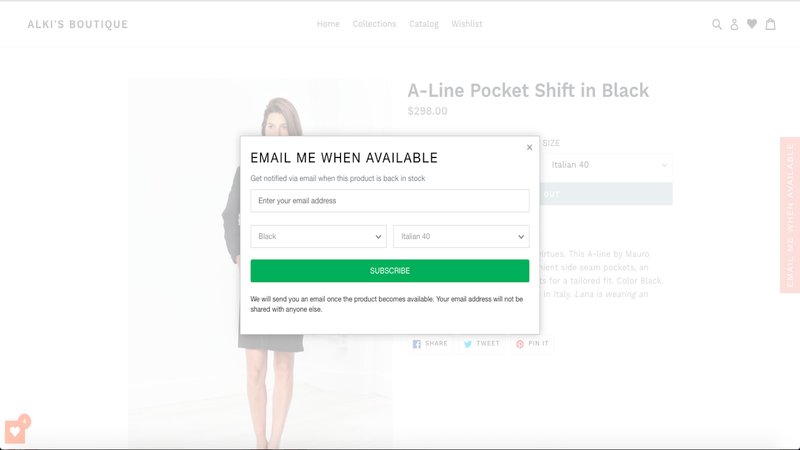 For example, if a visitor was browsing through t-shirts and added some of them in their cart, retargeting them with a popup that offers a 1+1 discount code on that category specifically, is sure to make them want to share their email address. In a brick and mortar store, you have the option to walk up to a shopper and help them make an informed purchase. You even get an opportunity to upsell or cross-sell products based on the observed browsing behavior. Now you need to do the same on your online store too – with chat support. Including a chat button on all your web pages tells the shopper that you’re around to help them out. For instance, if they’re hovering over the available sizes for too long, there is a high probability that they don’t know which one to pick. With a live chat, you can send them a quick size guide before they get too overwhelmed and leave the product altogether. 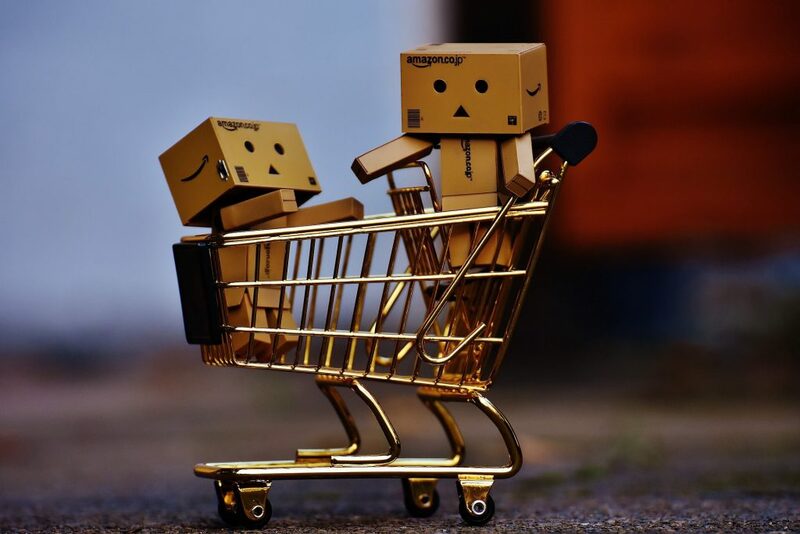 A lot of carts are abandoned when a shopper is not able to find a shipping or delivery method of their choice, or when they are presented by added costs for a preferred mode during checkout. Don’t wait for them to discover what you can offer or be disappointed by what you can’t later. 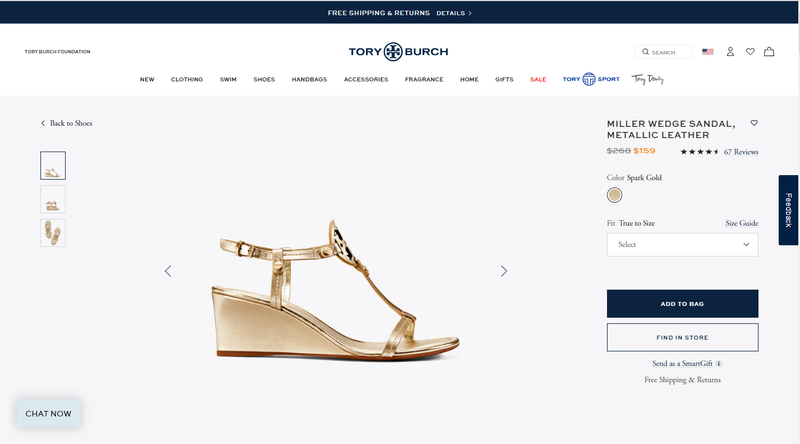 Optimize your product pages to include the various shipping options your store can provide and the charges associated with them. With the recent data breaches on social networks, online shoppers are becoming skeptical about sharing their contact information with eCommerce retailers. Web push notifications offer them a way to subscribe for updates from the store without having to give away their email address. The shopper can agree to receive promotional offers, shipping and tracking information on orders, back in stock messages and other messages with a simple click that subscribes them to the retailer’s list. All you need to do is target them with a web push permission right when they land on your store. There could be times when a visitor is looking for a product that has run out of stock. It could be the size or the color that the shopper was specifically looking for. In such scenarios, your product pages should be optimized to let them subscribe to notifications for when the specific product is back in stock. This helps you not just build an email list, but also record what kind of products you can sell to this shopper. Based on a shoppers browsing pattern or purchase preferences, your retail store should be able to make product recommendations. 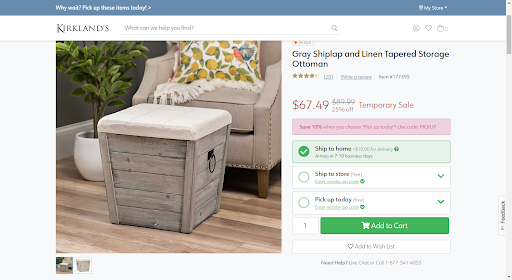 While most sites use this feature for returning visitors, you can use product recommendations to suggest alternate buys to out-of-stock items on your store. 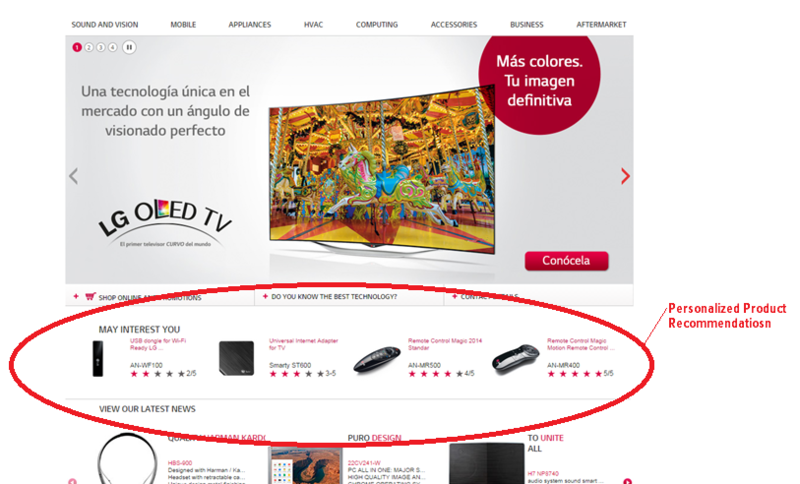 This helps the shopper discover similar products that they could purchase. And most importantly, don’t lengthen the checkout process for your shoppers. Optimize them to include only the very basic information you need to confirm an order. Since a shopper’s attention span is barely a few seconds, you want to make everything easy to understand and super quick to complete. This is why offering a guest checkout option reduces cart abandonment caused by those who don’t want to create their profiles on eCommerce retail sites. If the shopper gets distracted or a bad on-site experience takes him away from completing the purchase, fret not. You still haven’t completely lost the sale and there are ways in which you can get the visitor back to your store and recover the abandoned cart. Follow up the shopper with a quick email that reminds them of what they have left behind. To sweeten the deal and ensure they come back to make a purchase, offer an exclusive discount to them as well. But don’t give them too much time! Your email should be sent in no more than 24 hours after the abandonment. It should be then followed up with a second email two or three days later and a third one in the following week to re-engage them. A smart tactic here is to instill a sense of urgency in the email. You can do so by offering a limited-time offer or creating a sense of scarcity around the product. No matter what strategy you choose, make sure you include a clear call-to-action that takes them back to their cart. A typical internet user is active on at least two social media platforms. That is why you should use the platforms that your shoppers are the most active on, to retarget shoppers who have abandoned their carts. Just like the emails, use social media retargeting ads to remind the shopper of the products they have left behind. Use the ad copy to let them know that they’re soon going to be out of stock soon and can be bagged at a special discount just for them. 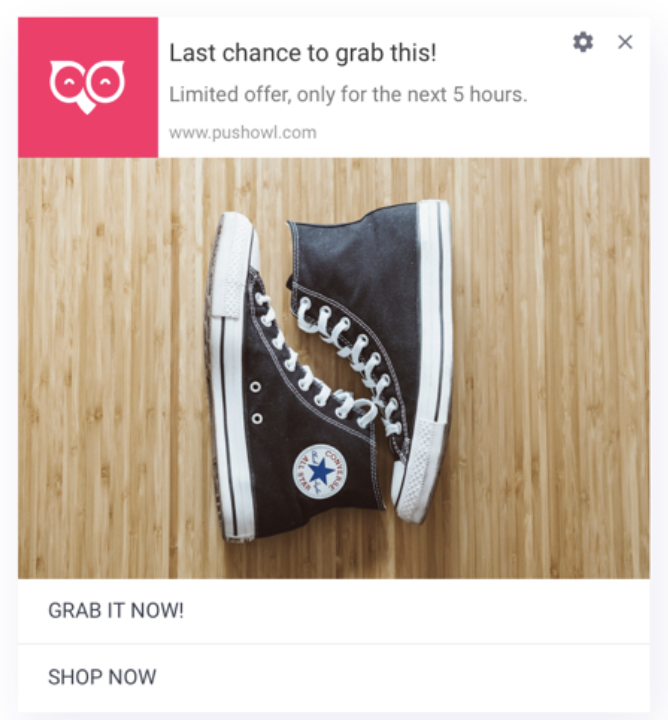 Apart from social media and email cart recovery campaigns, you can use web push notifications to re-engage your shoppers. 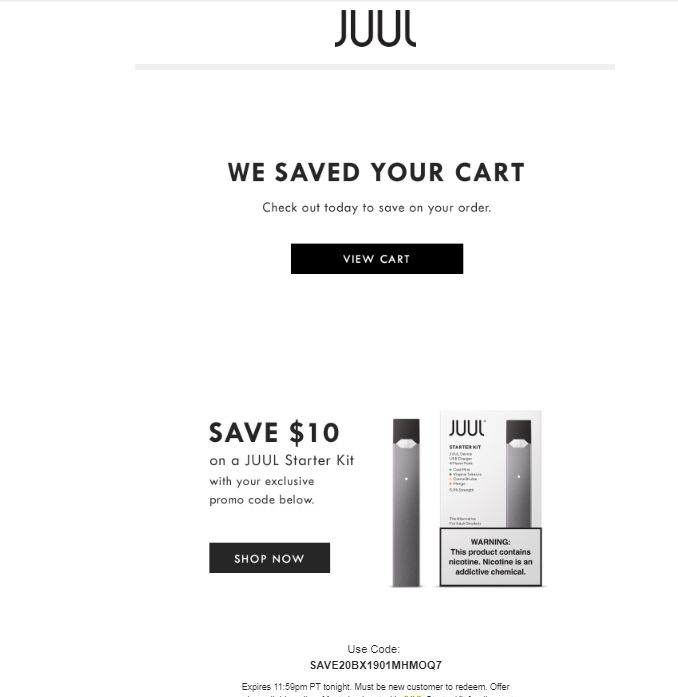 Using this channel to communicate, you don’t really need to wait for an ad to be displayed to the shopper or for the shopper to open the email you sent. The message is sent in real-time and is seen instantly. You craft the message right, and you can nudge the shopper to re-visit his cart instantly! Implementing the above conversion tactics might bring down your cart abandonment rate by 20%, but they aren’t the ultimate hacks to follow. You need to pay close attention to how each of the strategies is impacting the checkout rates week after week. Monitor your shopper responses to optimize your site better with smart re-engagement tools and personalized messaging. Remember, you can’t always win back a lost sale. But you do have many ways to engage your shoppers on-site and prevent cart abandonment. Which of the above strategies have you used before? Vanhishikha is the Head of Marketing at BrandLock. She is always on the lookout for tips and tricks to increase conversions for online businesses, and identify the little things they tend to miss out on that cost them more than half their revenue (hint: distractions). BrandLock is a conversion optimization suite that equips you with smart tools to protect your website on the shopper’s browser and keep them engaged for higher conversions.